The state is currently home to 17 craft breweries with lots more preparing to begin serving the Oklahoma craft beer market. Below are their challenges and advantages. Also, apologies for the Photoshop image above. The national trend toward increased craft beer consumption has resulted in a veritable increase of economic activity that is directly attributable to craft brewers. At the national level, the craft brewing industry generated $55.7 billion in economic activity and more than 424,000 jobs in 2014. While this growth in craft brewing has certainly taken root in Oklahoma, the full potential of this industry remains untapped. Even though the Oklahoma craft brewing (OKCB) industry is still in its nascent stages, the industry has already had a tremendous economic impact on the state. In 2014 alone, the OKCB industry had a $415.7 million economic impact by stimulating employment growth within the craft beer industry and supporting industries (such as restaurants, bars, bottling and distribution, etc.). On a per barrel basis, each barrel of craft beer produced by Oklahoman breweries in 2014 had a $16,353 impact and each 12-ounce pour of craft beer had a $65.94 impact. In 2014, the OKCB industry produced the 33rd highest economic impact in the United States despite being 47th in total craft beer production. A major reason that the OKCB has had such a large economic impact relative to the amount of craft beer produced is due to the impressive amount of employment and competitive wages in the OKCB industry. Total income for Oklahoma craft brewers in 2014 amounted to $128.3 million, which accounts for 30.8 percent of the total economic impact. The average pay per employee in 2014 was $49,870. This compensation ranks 6th nationally — only behind New York, Washington, D.C., Alaska, Minnesota and New Jersey. The average income of OKCB employees is thus higher than employees in California, Pennsylvania and Texas, which have well-cultivated craft brewing industries. While the early success of the OKCB is noteworthy, the growth potential for the OKCB industry has not been fully realized because this growth has occurred in a state with restrictive alcohol laws relative to the rest of the United States. In a survey of OKCB firms, the median reported production growth for 2015 was 51 percent. The minimum reported 2015 growth was 11 percent while other companies expressed triple digit growth. If the OKCB industry did indeed grow by 51 percent, the economic impact of the OKCB industry in 2015 was approximately $469.4 million. This represents a 12.9 percent larger economic impact than the year prior. 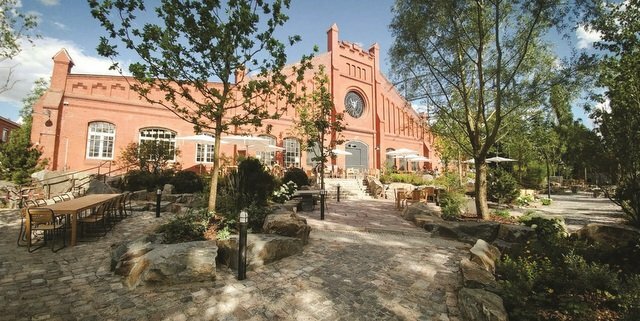 In the last decade, the country has seen enormous growth and popularization of local, artisanal craft beers. This nationwide trend has resulted in over 20 million barrels produced by regional breweries, microbreweries and brewpubs. These breweries had a $55.7 billion economic impact and created 424,000 jobs nationwide. The state of Oklahoma has already benefited from the grassroots growth that is typical of the craft brewing industry. The state is currently home to 17 craft breweries with more brewers preparing to serve the Oklahoma craft beer market. In 2014 alone, 10 of these Oklahoma breweries generated over $415.7 million in economic activity. This large economic impact occurred despite restrictive alcohol laws showing just how robust the OKCB industry is. In this report, I highlight and contextualize the economic impact that the OKCB industry has had thus far in Oklahoma and discuss potential economic gains that could accrue under various growth prospects should existing laws be amended. While the budding OKCB industry has grown from its early roots, the existence of some state-level alcohol policies thwart future growth prospects. Thus, I present a number of estimates for growth in economic impact and tax revenue to estimate the benefits that the OKCB could have on the Oklahoma economy should these policies be relaxed or repealed. A recent publication by the Brewers Association closely examined the economic impact of craft brewing at the state level for all 50 states and the Washington, D.C., area in 2014. This analysis is exhaustive and explores the multiple avenues through which craft brewing can effect a state’s economy along the supply chain. Along with the direct economic impact effects from the craft brewing industry — wages and tax revenues, for example — this study was also able to measure any indirect effects due to the craft brewing industry — increased sales and employment in the restaurant and bar industry, agricultural production or distribution services, among others. Due to the comprehensive and up-to-date nature of the Brewers Association study, I will present many of these results here with further contextualization and comparative analysis. Additionally, I present a number of tests and scenarios that estimate the potential economic impact the Oklahoma craft brewing industry would have if existing laws were changed, which would allow the industry to become more robust and add production. Thus, the goal of this report is not only to analyze and present the economic impact of the Oklahoma craft brewing industry, but to also discuss the potential impacts that this industry could have on the Oklahoma economy should current policies and state laws be adapted to allow for expansion and growth in the industry. A comparative analysis of the OKCB industry impact with states that have a similar population to Oklahoma. I choose a sub-sample of states that are within a window of 1 million people. A projection of what the economic impact of the OKCB industry would be if production levels were to grow by 10, 25 or 50 percent. For this inquiry, I use a regression analysis with data from all 50 states and Washington, D.C., on craft brewing production levels, the state’s employment to population ratio and population and the wholesale excise tax rate on strong beer production. I will note here that the various growth scenarios I use going forward are conservative. In 2015, many brewers that I surveyed increased production by much more than the top growth scenario of 50 percent. A breakdown of the taxes that are generated by the Oklahoma craft brewing industry at the wholesale and retail levels, and a forecast of tax revenues assuming the above various growth prospects (10, 25 and 50 percent). 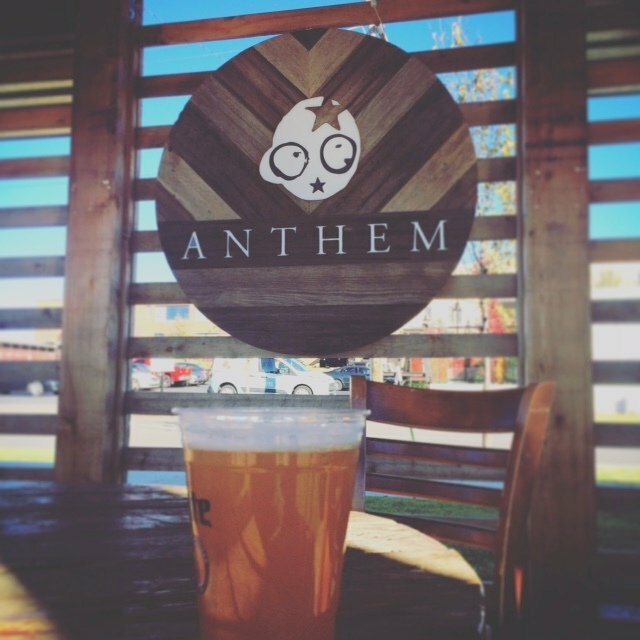 Anthem Brewing Co. in Oklahoma City. Ad valorem tax — A tax that is determined by the value or price of an item. For example, a 10 percent ad valorem tax on an item that is $100 results in $10 of tax revenue while a 10% ad valorem tax on an item that is $50 results in $5 of tax revenue. Excise tax — A tax that is determined by the quantity of a good produced, not the price. For example, if there is an excise tax of $0.40 cents per unit and 100 units are consumed, then $40 of tax revenue will be generated. This amount of tax will be collected regardless of the price of the item. Bbls — Volume abbreviation for barrels. A barrel of beer is 31 gallons, and a keg is typically half a barrel. Oklahoma was granted statehood in 1907 as a dry state. Since then, Oklahoma beer laws have remained rather restrictive relative to other states with the last substantive change occurring nearly 60 years ago in 1959. The OKCB industry is impacted by policies that govern both the production and the distribution of their product. These policies include wholesale taxation, retail taxation and limitations on the locations that traditional craft beer can be sold. Each policy if discussed separately below. “Strong beer” in the state of Oklahoma is any beer that has more than 3.2 percent alcohol by weight (ABW). This product definition matters for the relevant wholesale taxation rate and the venue in which the beer can be sold. Strong beer is taxed at $0.40 per gallon at the wholesale level while lower alcohol beers (3.2 percent) have a tax rate of $0.36 per gallon. The strong beer tax rate is the 15th highest in the country. Approximately 97 percent of OKCB production is strong beer. This is due to the production process that is necessary to brew India Pale Ales (IPAs), stouts and other varieties of beer that have become widespread with the recent surge in craft beer popularity. At the retail level, craft beer faces an ad valorem tax that differs depending on the location of sale. Craft beer sales from liquor stores have an 8.35 percent sales tax, and craft beer sales at locations that allow on-premise consumption have a 13.5 percent sales tax. Click Next below to read about the economic impact of craft beer on Oklahoma. Local beer means localized money.